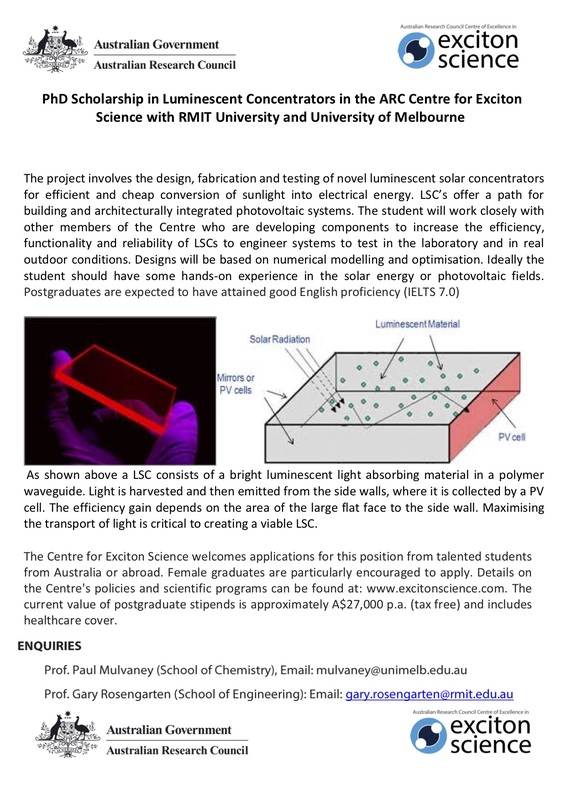 Seeking a science graduate ideally with some hands-on experience in the solar energy or photovoltaic fields to take up a PhD scholarship with Prof Paul Mulvaney of the University of Melbourne and Prof Gary Rosengarten of RMIT. The project involves the design, fabrication and testing of novel luminescent solar concentrators for efficient and cheap conversion of sunlight into electrical energy. See below attachment for more information.